Global Energy and Power Insurance: A Worldwide Review is a report and market data file about the current and future outlook for the insurance of risks associated with the fast-evolving worldwide energy (oil and gas) and power sectors, with in-depth analysis of the following territories: Brazil; Canada; China; France; the GCC countries (Bahrain, Kuwait, Oman, Qatar, Saudi Arabia, UAE); Germany; Japan; Nigeria; the UK; and the US. In addition to showing how its value has changed since 2010, analysis of the global energy insurance market sub-divides it both by type of operation (i.e. upstream, midstream and downstream) and by type of risk (i.e. business interruption, construction, control of well / OEE, environmental liability, general liability, property and other) with these two splits then cross-tabulated against each other to identify the most valuable market segments. In addition, its value (split by type of operation) is forecast to 2018 and estimates for the market shares of energy insurance underwriters are provided, expressed as percentage ranges (e.g. 5.0% to 7.5%), for each of the ten territories researched in detail. Market value data spanning 2010 to 2014 (with a forecast to 2018) is also provided for the global power insurance sector with segmentations in this case provided by power source at both a high level (i.e. conventional, renewable, other) and a detailed level (i.e. coal, gas, nuclear and oil in the conventional segment, and biomass, hydro, solar and wind in the renewable segment), as well as by type of risk (i.e. business interruption, construction, liability, property and other). Once again, these splits are cross-tabulated against each other and market shares for underwriters of power insurance are estimated as percentage ranges for each of the ten territories featuring detailed analysis. Over and above this unique market data, the study also examines the market drivers for both energy and power insurance globally and in each territory (e.g. trends in oil and natural gas production and imports, trends in power generation segmented by source) plus the role played by captive and mutual underwriters (including the approximate percentage of the respective market values that they insure). 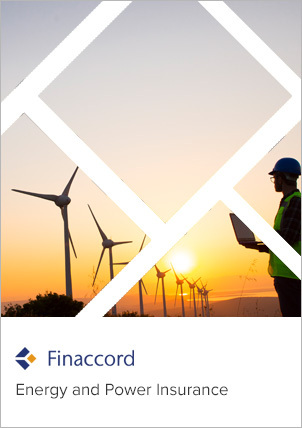 In addition, it identifies the brokers with the most significant involvement in these two sectors for the ten territories in which in-depth research was conducted, and considers how changes in the underlying energy and power sectors are likely to impact the associated insurance markets.